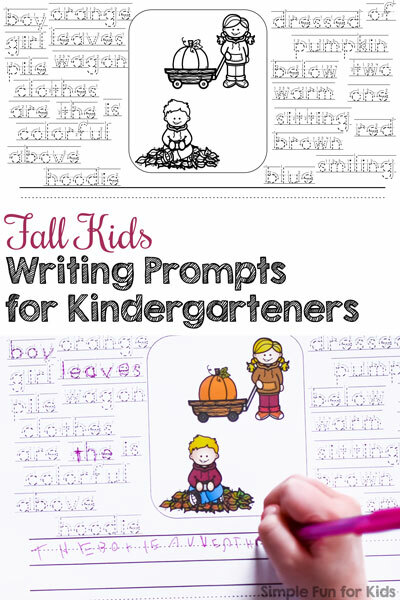 Today, I’m sharing another simple differentiated writing prompts printable with you: Fall Kids Writing Prompts for Kindergarteners. This type of printable has really motivated E to start writing down her own ideas and encouraged her to write words whose spelling she isn’t sure of. In addition, I’ve made sure to differentiate it to make it perfect for kids of many different skill levels that are just starting to write. 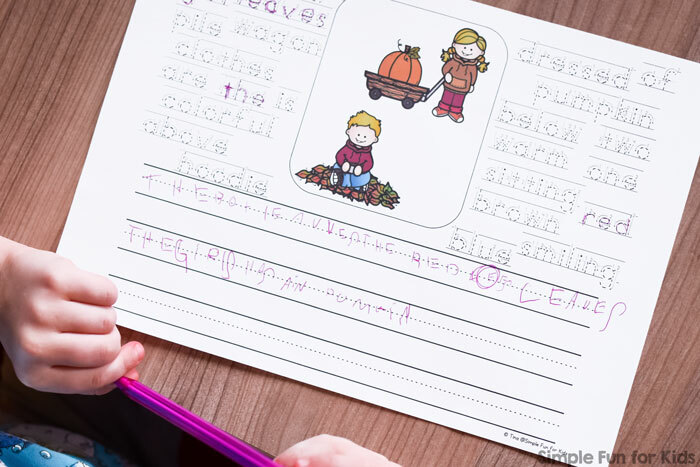 This also makes it a perfect activity for kindergarten literacy centers! I’ve previously shared Halloween Writing Prompts for Beginners and Halloween Costumes Writing Prompts for Beginners following the same template. Printer and one or more sheets of paper. Laminator and laminating pouches (optional). The writing prompts consist of an image component and suggested words plus one version that only has the images and no words. Lined and dashed font with directional arrows. In addition, each level comes in two variations: One with the images in color, the other with black and white images for the opportunity to do some coloring for a break from writing. With this printable, E chose to trace a few of the words before using them in her writing. Her second sentence was “The girl has a(n) pumpkin.” She didn’t trace the words for this one. 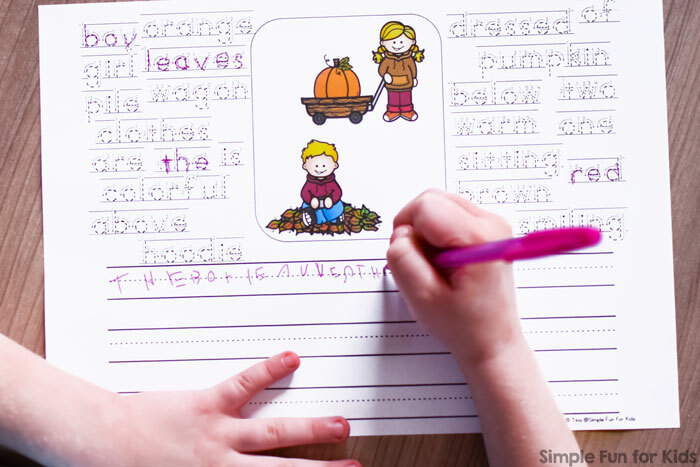 Download your Fall Kids Writing Prompts for Beginners! 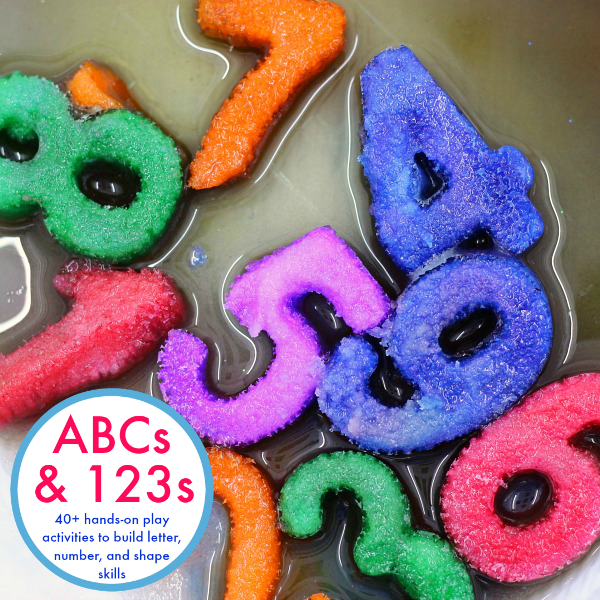 Are you looking for other literacy activities for Kindergarteners? Check out these!